Marija graduated from the University of Novi Sad (Serbia) with a degree in English language and literature. From September 2008, she has been working as a full time teacher at the comprehensive school in Kostajnica (Bosnia), teaching teenage students from the age of 15 to 19. She obtained a Professional Educator Certificate in November 2008. 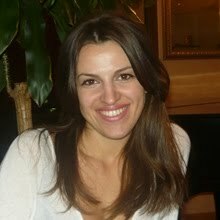 Marija is also experienced in resume preparation, translations, tutoring etc. (more details can be found on her web site). Please use the form below to contact Marija.